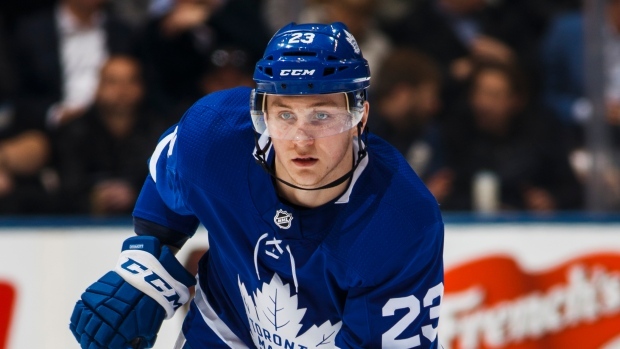 Defenceman Jake Gardiner skated on his own after practice on Sunday according to TSN's Kristen Shilton. Travis Dermott (shoulder) was skating in a red non-contact jersey while Martin Marincin (flu) has returned. John Tavares, who appeared shaken up after taking a cross check from Marc Staal in Saturday's loss, was no worse for wear, according to Shilton. Head coach Claude Julien said after Saturday's 7-4 victory over the Sabres that goaltender Carey Price will "most probably" start Sunday on a back-to-back against the Carolina Hurricanes. Julien added that he wanted to make the final decision Sunday based on a variety of factors, but said he has no reason to believe that Price isn’t 100 per cent and should be good to start. The Canadiens (87 points) have won three games in a row and occupy the second wild card spot with Carolina (89 points) in the first. Head coach John Tortorella says goaltender Sergei Bobrovsky will play tonight against the Vancouver Canucks. The Blue Jackets currently sit three points out of the final wild card spot in the Eastern Conference behind the Montreal Canadiens. Bobrovsky missed Thursday's game against the Edmonton Oilers as Columbus lost 4-1.